Being a fourth-year student, I grew tired of these questions pretty quickly because let’s face it, none of us really know what’s going to happen next. None of us really want to think about how our chosen interests are going to fund the rest of our lives and families’. What we can know however, is what steps to take next. We can know enough to be comfortable and confident in answering these unavoidable questions. We can know our goals, aspirations, and plans. If you’re looking to get a head start at your career, then here’s a few highlights from the Next Steps Conference last weekend. We may think, plan, work, and apply to a number of places but if you’re anything like me, when it comes to talking to professionals or any level of public speaking really, my anxiety levels are always high. Even though my architecture studio courses have given me ample presentational experience, I’m still terrible with delivering my point as effectively as I want to. That’s one of the reasons the conference started off with an improv session. It all takes practice and experience I guess. You have to be comfortable and confident in yourself and what it is you want to talk about. In my case, it is usually the design project you spent all-nighters on all-nighters to pull off that needs to be known inside out in order to explain any questions that may be brought up. For interviews, CVs, and networking opportunities, that design project is you. Start this as early as possible too. We each experienced different lives so make yourself stand out. The next item was accepting that success is not a straight line. Most of us probably know this by now but it’s always reassuring to hear other successful people talk about where they started off. In most cases, your undergraduate degree should not stop you from exploring other disciples and careers. I personally find that that is one of the bigger misconceptions about university. Studying architecture? So, you’ll be an architect? Well no. Kanye West, Tinker Hatfield, Samuel L. Jackson, and Courtney Cox are a few people who also studied architecture but look what they’re doing. The advice here is to yes, pursue your passions, but also look beyond your undergraduate degree. Another point presented was that thinking like an entrepreneur doesn’t necessarily mean you’re going to suddenly be a successful businessman/woman. It can mean being successful in your own field by simply applying some of the principals of it. U of T actually offers short and useful workshops on this that you can check out in this calendar. I highly recommend getting familiar with the jargon of the business world. Change is inevitable. One of my major fears is paying off these debts I’m accumulating. Something that’s helped is applying to everything. Scholarships, grants, jobs – even if you feel like you don’t qualify as much, it is always worth a shot. Especially with the growing number of precarious work (temporary or part-time jobs), you need to be prepared and accepting of fluctuating circumstances, even within a company you may be working for. Often times, where you can come in is by finding opportunities by filling the gap, finding a need for missing information, research, services, or products. And why even stay rooted in Toronto, or even Canada? Go out there and explore your options. A little research can help you figure out what country you may like to work in (or go back to) and how to get there. 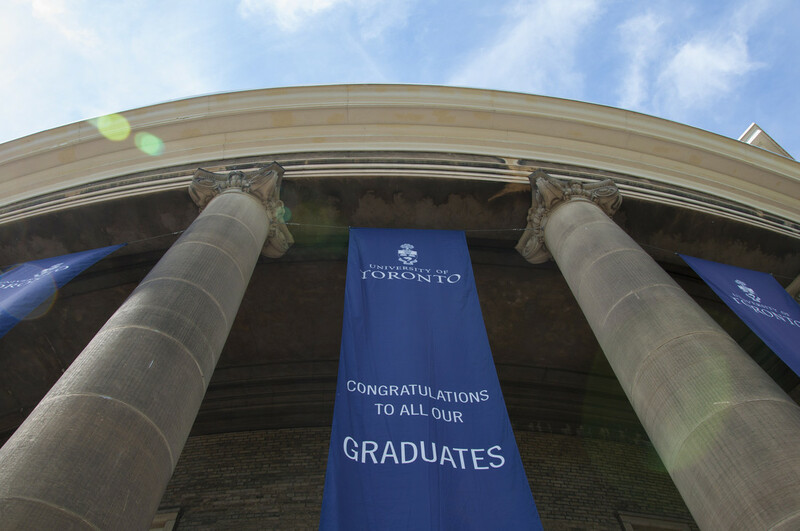 That’s one of the great things about a U of T degree. It’s recognized globally. This also makes our alumni network that much richer. 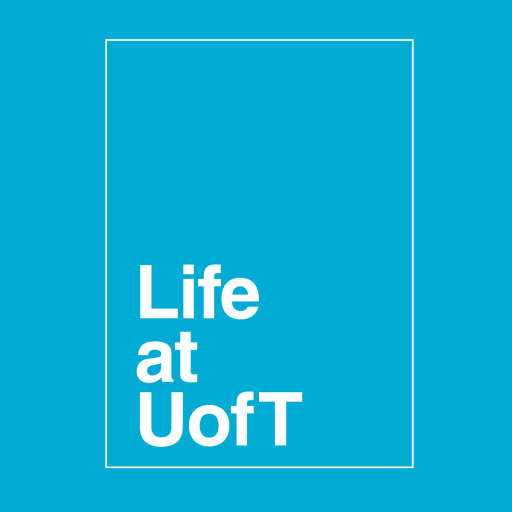 Lastly, even though I can’t wait for that walk on stage at Convocation Hall, I need to remember that U of T will still be here after I’m long gone into “the real world”, that it will be a part of who I have shaped into – and that I can utilise this connection for a lifetime. Next Post Summer Job Hunting? Already?